Borrowing a huge sum of money—the equivalent of one private jet—from the bank is a big decision for anyone. For a dancer with no business experience, it’s an even gutsier move. But gutsy is just how Stella Kutz rolls. Nothing could have kept her from building a place to dance. Kutz’s Yaw Theater is currently under construction in West Georgetown, slated for completion in January 2017. 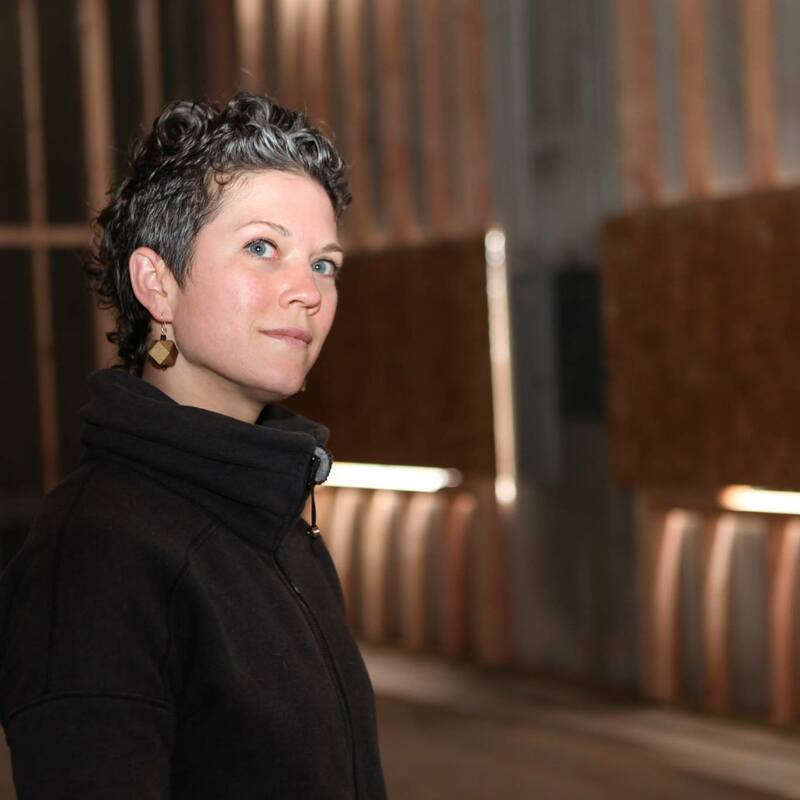 Stella Kutz is founder of Yaw Theater—set for completion in January 2017. The name Yaw pays homage to the venue’s aeronautical setting, being located so close to Boeing, SeaTac Airport, and The Museum of Flight. Yaw means the twisting or oscillation of a moving ship or aircraft around a vertical axis. Photo by Will Lemke. With 20-foot-tall ceilings and gorgeous natural light, Yaw will offer rental space at rates similar to Velocity Dance Center and eXit SPACE. But dancers won’t be the only ones here. Kutz hopes to serve everyone from improv actors to tai chi masters through the rental program, in addition to hosting classes for kids and adults. Perhaps most exciting for local companies and choreographers is that Yaw will offer an affordable space to perform, complete with lighting and a state-of-the-art sound system. And, miraculously, there’s ample parking. Kutz is personally financing the entire project herself. The studio will be completed no matter what, but her recently-launched Indiegogo campaign will help remove some of the heat from this artist-turned-business-owner, especially for things like the mirrors and sprung floor. 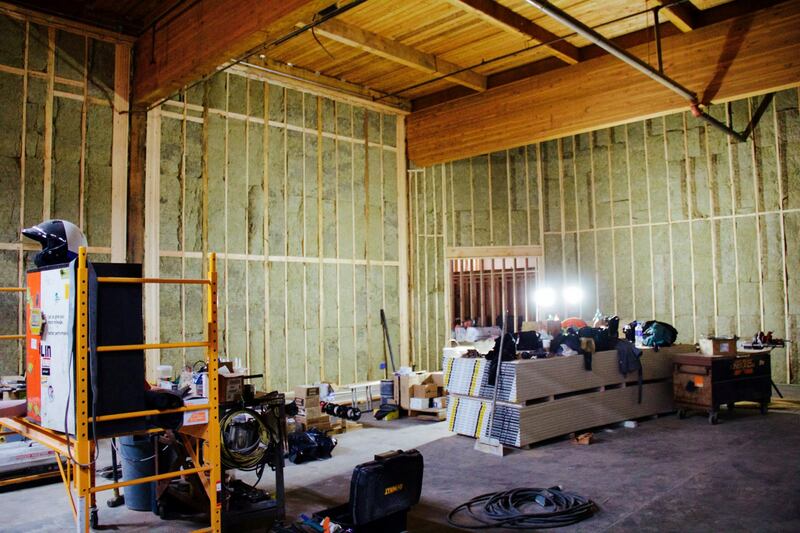 These elements, so crucial to a dance studio, can cost thousands of dollars on top of the massive construction costs. Once completed, the spacious single studio will boast seating for 100+, a state-of-the-art sound system, theater lighting, and sprung floor. The main space is 45’ by 36’, with a 20’-high ceiling. Photo by Will Lemke. Crews started building Yaw in 2016, but Kutz was crafting her dream long before that. 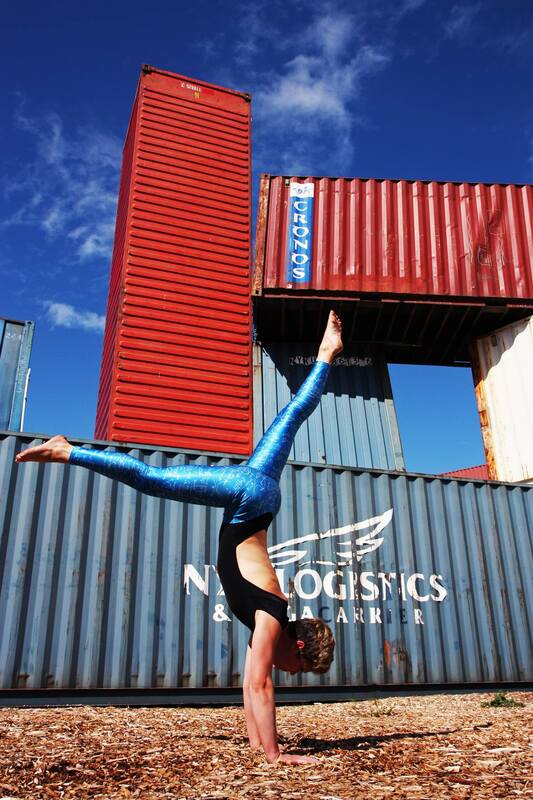 After earning her BFA in dance from the University of Las Vegas, she moved back to her native Seattle and tried various jobs, including yoga instructor. Nothing quite fit, and she was left hunting for a meaningful movement-based career. Then, in 2011, Kutz met Sam Farrazaino. Farrazaino is the visionary and builder behind Equinox Studios, an enclave of art spaces for welders, sculptors, and artists of many kinds. Naturally, he was the perfect person to ask about building a dance studio. Luckily for Kutz, Farrazaino was getting ready to expand Equinox by purchasing another large warehouse that he could transform into a vibrant, creative place. This building, the old McKinnon Furniture factory, now houses both Yaw and Base (Dayna Hanson and Peggy Piacenza’s new space), among other groups. Completed in summer 2016, Base will also offer rental space, in addition to providing residencies for artists such as Dylan Ward and Jessica Jobaris. One door down inside the same building, Yaw will make the the multi-use community space its main focus, in addition to providing classes. Together, these studios represent an exciting, pioneering spirit within the dance community, and literal new ground for the art form. Whether it’s Hanson’s ongoing 9e2 series exploring art, science, and technology or Relay Dance Collective’s fifth-season performance (which Kutz herself will be performing in) this April, it’s safe to say that Georgetown is another place to watch for the latest and greatest in Seattle dance. The rental program at Yaw will officially begin in January 2017. By summertime, Kutz expects to own a fully operating venue with a packed schedule of performances on Saturdays, summer kids camps, and various renters throughout the week. “I’d like to help bridge some of the gaps within our community,” Kutz said. “I am building a place where many different types of people can come together to create something new.”Yaw Theater will be available to rent for rehearsal, performance, and more beginning January 2017. For more information, click here. To donate to the Indiegogo campaign, click here.